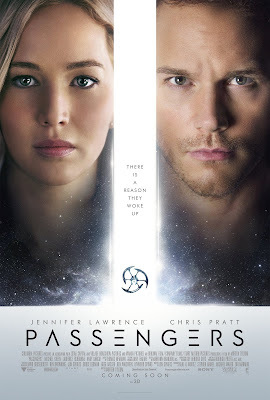 Passengers is now showing in cinemas everywhere and is distributed in Australia by Roadshow Films. In 2007, the Passengers screenplay written by Jon Spaihts was featured on the Blacklist, which is a list of the year's best scripts that have yet to developed for the screen. Now nearly 10 years later Morten Tyldum has brought Spaihts' screenplay to life. After watching the film, it is not only obvious why the screenplay was part of the Blacklist, but it is also obvious why it took so long for it to be made. Passengers sounds as though it could be an intriguing enough story, but there is only so much that can be done with it when translated onto the screen. The end result is a film that is fine, but could never really have been something truly special. In the future when Earth is over-inhabited, the spaceship, Starship Avalon transports 5000 passengers to Homestead Colony to set up the next stage in human existence. Although the journey is to take 120 years and all the crew and passengers are to be in hibernation pods until just before arrival, a malfunction occurs and Jim Preston (Chris Pratt) awakes 90 years ahead of schedule. He is the only being to be awake on the Avalon besides android bartender, Arthur (Michael Sheen), until he is joined a year later by Aurora Lane (Jennifer Lawrence). The two have an instant connection, but it is a connection that may not have been made under the most ethical circumstances. Passengers is really everything it could have been. 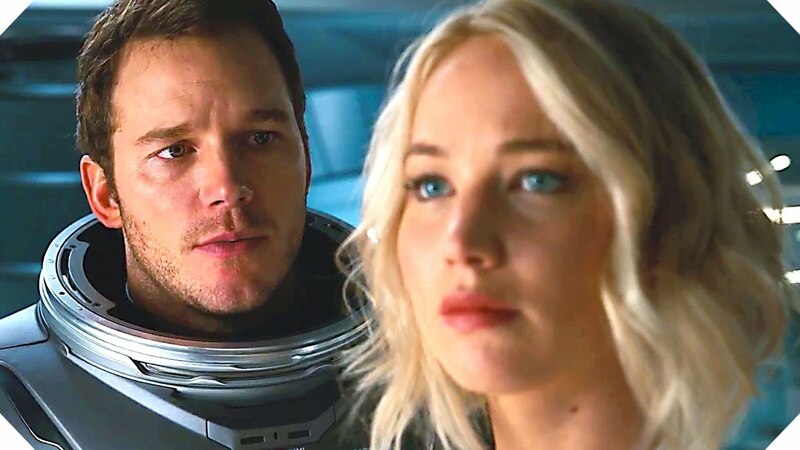 Morten Tyldum directs it to the best of his ability and both Chris Pratt and Jennifer Lawrence bring as much to the screen as they possibly can. The fault of the film does not lie in the production of it. There was just no possible way that the story could have been developed for the screen without it coming across as mostly unoriginal, only slightly ludicrous and mediocre at best. However, Passengers does have some redeeming features. The production design by Guy Hendrix Dyas of the Starship Avalon's interiors is very impressive as they are complex, but neat and linear. There are some truly spectacular celestial moments throughout the film, but it is a shame that they are few and far between. One also cannot fault the film's two stars, Chris Pratt and Jennifer Lawrence. Passengers is perhaps the most intense role Pratt has had to date and he maintains the comical demeanor that he has become popular for as well as showing the needed emotions. Jennifer Lawrence gives her consistent all to the role of Aurora and has a great chemistry with Pratt onscreen. Despite the misgivings of the film, Passengers is still watchable. It is not painful to watch by any means, but struggles to make something meaningful out of something so ridiculously far-fetched. Thanks for sharing this interesting blog with us.My pleasure to being MOVGOTV here on your blog..I wanna come beck here for new post from your site.